For more than forty years, our team has cared for generations of Tulsans. From the youngest patients, all the way to senior dental health, we offer state-of-the-art facilities to make your visits both comfortable and convenient. With a combined level of experience of more than 100 years of dental expertise, we have a team that not only knows how to help you maintain a smile for a lifetime, we create a friendly environment to make your family comfortable. Word of mouth is everything. Don’t just take it from us. Hear from our patients about their experience with Lewis Park Dental. We are proud to say that for more than forty years, it is our patients that have inspired us to continue the tradition of dental excellence. A dental cleaning or prophylaxis is recommended every 6 months to maintain good oral health. Dental cleaning is a preventive dental care procedure that is necessary to maintain healthy teeth and gums. It involves the removal of plaque and stains through a process called scaling. For most patients, this is usually done twice a year and completed within one dental visit. A dental deep cleaning is needed in order to remove bacteria, tartar and debris that has collected under the gum line. The presence of tartar under the gum line creates a safe haven for bacteria to collect, and cannot be removed by brushing, flossing or with a regular cleaning. The presence of this bacteria causes an immune response from the body which results in inflammation, to fight the bacterial infection. If left untreated, the infection and inflammation will continue and progress further under the gum line, resulting in loose teeth and bone loss, and ultimately, the loss of one or more teeth. A filling is a way to restore a tooth damaged by decay. Fillings get a tooth back to its normal function and shape. When given a filling, the decayed tooth material is removed, the affected area is cleaned, and the cleaned out cavity is filled with a filling material. By closing off spaces where bacteria can enter, a filling also helps prevent further decay. A crown is used to entirely cover a damaged tooth and can be used to strengthen and improve its appearance, shape or alignment. A crown can also be placed on top of an implant to provide a tooth-like shape and structure for function. Porcelain or ceramic crowns can be matched to the color of your natural teeth and are recommended to replace a large filling when there is little tooth remaining, protect a week tooth from fracturing, restore a fractured tooth, attach a bridge or cover a dental implant or a discolored tooth. Veneers are thin, custom-made shells crafted of tooth-colored materials designed to cover the front side of teeth. They are an option for correcting stained, chipped, decayed or crooked teeth. Placing veneers is usually an irreversible process, because it’s necessary to remove a small amount of enamel from your tooth to accommodate the shell. Avoiding some foods and beverages that may stain or discolor your veneers such as coffee, tea or red wine is usually recommended. Dental implants are artificial tooth roots, usually metal posts or frames, that provide a permanent base for fixed, replacement teeth. They are a popular and effective long-term solution for people who suffer from missing teeth, failing teeth or chronic dental problems. Because they fit, feel and function like natural teeth, dental implants are quickly becoming the new standard in tooth replacement. Healthy gums and adequate bone to support the implant are required to receive dental implants and commitment to keeping these structures healthy is necessary. Partials are usually recommended when one or more natural, healthy teeth still remain in the upper or lower jaw. They cover only part of the mouth and stay in place with clasps that secure to adjacent natural teeth. A removable partial denture or bridge usually consists of replacement teeth attached to a pink or gum-colored plastic base, which is sometimes connected by metal framework that holds the denture in place in the mouth. Not only does a partial denture fill in the spaces created by missing teeth, it prevents other teeth from changing position. Complete dentures can replace missing teeth if natural teeth have been lost due to periodontal disease, tooth decay or injury. Complete dentures are made of a plastic base that is colored in order to replicate gum tissue and supports a full set of plastic or porcelain teeth. The traditional full denture is held in the mouth by forming a seal with the gums. They can also be held in place by attaching to dental implants that are surgically placed in the bone of the jaws. Root Canal Therapy is necessary when the pulp (soft tissue inside your teeth containing blood vessels, nerves and connective tissue) becomes inflamed or diseased. During root canal therapy the diseased pulp is removed and the pulp chamber and root canal of the tooth are then cleaned and sealed. If the infected pulp is not removed, pain and swelling can result, and your tooth may have to be removed. Root canals are needed when there is a deep cavity, repeated dental procedures, a cracked or broken tooth or when there is an injury to the tooth. Teeth whitening is a simple process used to brighten and whiten teeth that are darkened due to genetics, antibiotics and certain foods. Whitening products contain bleaches that break stains into smaller pieces, which makes the color less concentrated and your teeth brighter. Some people who use teeth whiteners may experience tooth sensitivity which can happen when the peroxide in the whitener gets through the enamel to the soft layer of dentin and irritates the nerve of your tooth. In most cases the sensitivity is temporary. Dr. Nicholas Hunter is a Tulsa native, graduating from Tulsa Memorial High School. He earned a degree from Oklahoma State University with a Bachelors of Science in Physiology and a minor in Chemistry and Math. Dr. Hunter then graduated from The University of Missouri Dental School where he was President of the student body and was awarded the “Golden Cane Award” as the outstanding graduate. He joined the late Dr. Smith in practice in 1973 and has been on Lewis Avenue in Tulsa ever since. Dr. Hunter is a member of the American Dental Association and Oklahoma Dental Association and has been awarded Tulsa Dentist of the Year in 1991, Absolute Best Dentist by Urban Tulsa in 2000, and Readers’ Choice Best Dentist of Greater Tulsa in 2005. He is also a Fellow in the American College of Dentists, the International College of Dentists, The Pierre Fauchard Academy of Dentists and the L.D. Pankey Institute for Advanced Dental Education. 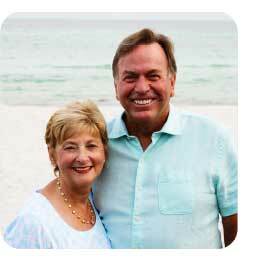 When he is not in the office, Dr. Hunter enjoys golf, tennis and spending time with his wife and ten grandchildren. 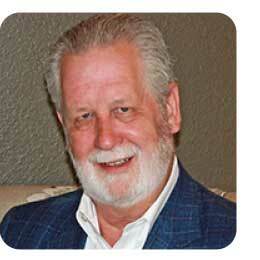 Dr. Stephen Glenn is a general dentist who has maintained a private practice in Tulsa since 1974. He also began practicing at Lakehaven Dental in Grove in January 2012 after he and his wife purchased a home on Grand Lake. He has served the profession of dentistry as President of the Tulsa County Dental Society, President of the Oklahoma Dental Association and as Chair of the Council on Dental Practice of the American Dental Association. He has been an active member of the Rotary Club of Southside Tulsa, serving as President in 1985-86 and for two terms as a Trustee for the Southside Rotary Foundation. He and his wife, Mella, have five children and eleven grandchildren. Dr. Kathryn Henry was born and raised in Tulsa. She attended Texas Christian University in Ft. Worth, where she met her husband, Blake. In 2001, Blake and Kathy both graduated from Baylor College of Dentistry in Dallas. Kathy practiced dentistry in St. Louis for 2 years while Blake attended an orthodontic residency at St. Louis University – Center for Advanced Dental Education. In 2003, the Henrys and their new baby boy moved back to Tulsa. 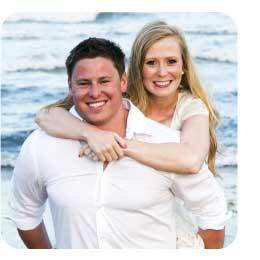 Blake opened an orthodontic practice and Kathy joined her dad, Nicholas Hunter, DDS, in private practice. The Henrys now have 5 children that they treasure. 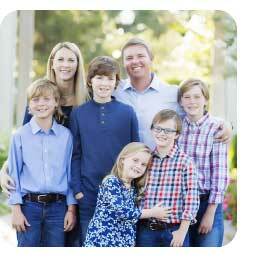 Dr. Henry enjoys reading, exercising and being outside with her husband and family. Dr. Henry is a member of the American Dental Association, Oklahoma Dental Association and Tulsa County Dental Society. She will serve as President for TCDS in 2018. Dr. Henry is on the Board of the Oklahoma Dental Foundation and the Steering Committee for the Oklahoma Mission of Mercy. Dr. Henry has a passion for accessible dental health. Dr. Henry is humbled to be inducted into all three national dental honor societies: The Pierre Fauchard Academy, the International College of Dentists and the American College of Dentists. In 2010, Dr. Henry was honored with the ODA President’s Leadership Award. In 2011, she was recognized with the James A. Saddoris Award for Outstanding Contribution to Organized Dentistry. In addition to those honors, Dr. Henry was named the Young Dentist of the Year in Oklahoma for 2012. In 2014, the OU College of Dentistry recognized Dr. Henry with the Distinguished Service Award. Dr. Justin Young grew up knowing he wanted to work in the medical field. Dentistry first sparked his interest in high school when he suffered a broken jaw in a boating accident. Dr. Young is a Tulsa native – he attended Carnegie Elementary, Byrd Middle School and graduated from Tulsa Memorial High School. After graduation, he pursued his bachelor’s degree in Zoology and Biomedical Sciences, with a minor in Chemistry at The University of Oklahoma and was an active member of Beta Theta Pi fraternity. Dr. Young began Dental School in 2012 at the University of Oklahoma College of Dentistry, where he served as the American Student Dental Association’s Legislative Liaison and won an award for Outstanding Student in Implant Dentistry. He joined his uncle and cousins at Lewis Park Dental in May 2016. Dr. Young is a member of the American Dental Association and Oklahoma Dental Association. Dr. Young married his wife, Amanda, in October 2012. They welcomed their son, Tatum, October 19, 2016. Amanda was born in Michigan, but claims Texas as her home. She graduated from Texas State University in San Marcos, Texas with a degree in Journalism. She has spent the last 7 years doing technical sales for a company that bends pipe and tube. In their free time, the Youngs enjoy hanging out with the family, playing guitar, riding horses, golfing and spending time with their two dogs, Piper and Tank. Lucky for me and my family, we have been patients of Dr. Hunter since the 70’s. Through these years the office is always keeping up with times. It warms my heart to see Dr. Henry, Dr. Young and Kellie RDH there. I always leave knowing I have had great care and got to see all my old friends, too. My family and I have been attending this dental practice now for several years. This is the best dentist office ever! The staff is incredible, friendly and not only great with adults, but kids of all ages as well. They truly know how to make you feel comfortable and at ease about any necessary treatment. I am a dental professional myself, and their office is always impeccable; definitely keeping up with the change in technology that is needed to provide the best services to their patients. I cannot say enough great things about this dental practice and highly recommend it to everyone! We will contact you to find a time that is available and convenient for you. Thank you for contacting us. Our office will reply by the next business day.